Soviet filmmakers were science fiction pioneers, releasing groundbreaking films like the 1924 space-travel tale Aelita at a time when extended plot development was still new to motion pictures. Over the decades, the Soviet Union continued to produce innovative cinema with impressive special effects, despite stringent government oversight, churning out stories of far-flung planets and futuristic super-weapons and terrifying scientific experimentation. 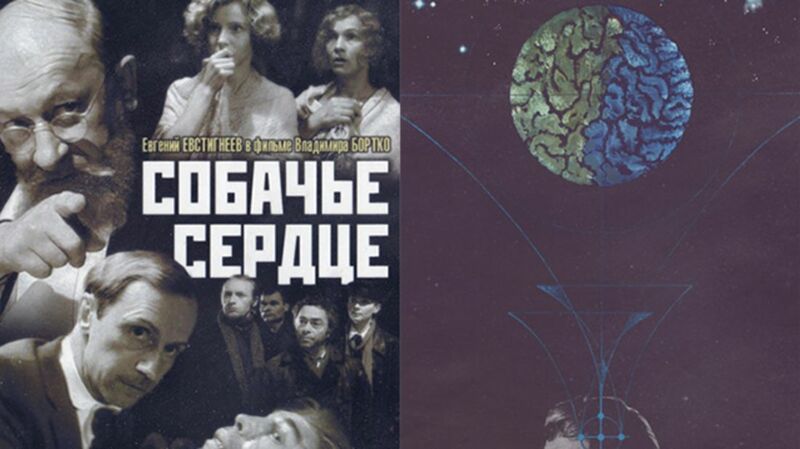 Some of the highlights of Soviet cinema, including a wide selection of sci-fi movies, are available for free online, Flavorwire reports. Part of a nonprofit project to bring Soviet movies to English-speaking audiences, some of the streaming films are dubbed, while others are available in Russian with English subtitles. Among the highlights of the collection are filmmaker Andrei Tarkovsky’s iconic Solaris (1972), which follows the travails of crew on a space station orbiting a fictional planet; the Gogol adaptation Viy (1967), a special effects–laden horror story about witches and demonic possession; Heart of a Dog (1988), based on the novel by famed satirist Mikhail Bulgakov about scientists who surgically implant human organs into a dog’s body; and the black comedy Kin-dza-dza (1986), a cult favorite about Russians accidentally transported to a dystopian society on another planet. The site’s collection is all available in HD format and seems to be in the public domain—or at least legally streamable. See the full catalog at Soviet Movies Online.